Sometimes attending a class doesn't fit into your schedule at a critical time. That's when I recommend private training. This can be done in two ways. One, I can train one-on-one with your dog or puppy and then work with you to show you what your pup has learned and how you can interact with your dog. 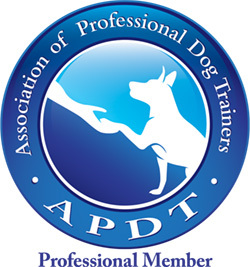 Or two, the more common way is training you to train your dog. Either way, training can take place at your convenience and usually at your home. 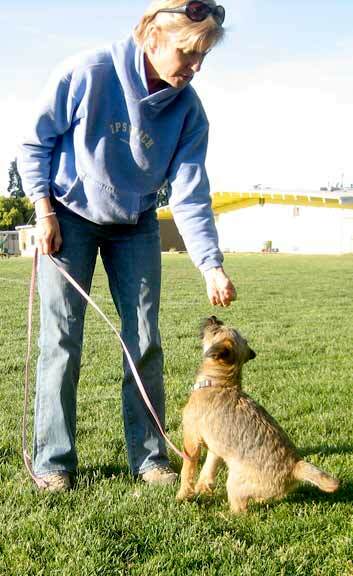 For older dogs, learning beginning obedience starting off at home and then getting out in the real world as the dog progresses, is often the best approach. Sometimes people start off with some private lessons until they can get into a class. They feel more comfortable having practiced and aquiring skills to use in a class with a lot going on. So, whatever your preference, give me a call and let The Puppy Lady get you started sooner than later. Remember, you are always training your dog - whether you realize it or not.